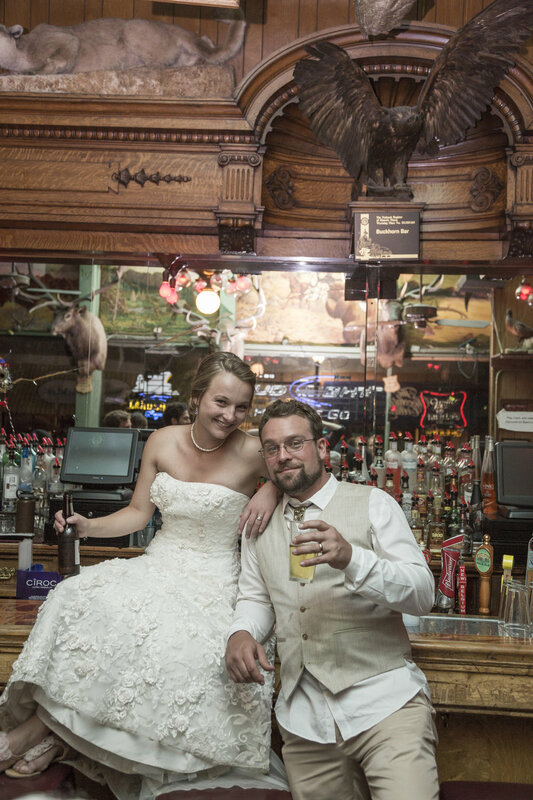 As Wyoming Wedding Photographers we have shot our fair share of ranch weddings. However, over the years, none have been quite as remarkable as The Callaway’s. Beth and Bret chose to hold their celebration on Beth’s stunning family ranch in Arlington, Wyoming. That mid-August morning, when our feet first met playful plains and the coffee finally kicked in, we knew we were about to experience one hat tipping unification! From shotguns to homemade florals adorned with vintage broaches and pheasant feathers, the couples relationship was perfectly reflected in the day. The newlyweds ended the night and danced hand in hand as their loved ones reveled in their happiness. As for BHP, it is always an honor to capture such a genuine love story. The Callaway’s images act as a continual reminder of why we love to do what we do! Beauty All That Jazz Salon & Spa | allthatjazzsalonspa.com Bride’s Dress Shop David’s Bridal | davidsbridal.com Catering Kennison’s Katering | kennisonskatering.com Music Phil Shane | philshane.com Paper The Bride! Photographer BHP Imaging | bhpimaging.com Planning Embellish Productions | embellishproductions.com Rentals Dan D Party Corner | dandparty.com Sweets Swirls & Pearls | swirlsandpearls.com Venue Beth’s Family Ranch!